Mundu TV is a popular internet TV channel streaming service which allow you to watch TV channels on your Computer and Mobile device. I hope you all know that, they have limited their trail period to 7 days and over that period, you can only watch few channels. And if you wanted to watch more channels, then you should subscribe for any of their package. Now using a simple trick you can watch all of their channels completely for free. you just need to use any media player software like Real Player SP or VLC Media Player in your computer And for mobile devices you can use pv player or core player. 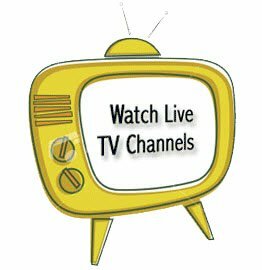 I this tutorial, I’m going to show you how to stream all TV channels available in Mundu TV for free. For this trick, you can use Real Time Player , VLC Media Player or any similar streaming capable software. In this tutorial I’m using VLC Media player, you can download VLC media player for free here. Go to >> Media >> Streaming >> Click on Network tab and enter the streaming link and press ALT+P or click on the small arrow in the Stream button and select play. For mobile, you can directly open the streaming links and if your phone is supporting streaming, then it would automatically use the built-in player for streaming. Click on Media from the menu, and select Streaming. Click on Network and then enter a network URL in the field, then click on the small arrow drop down on the STREAM button and select Play. Looking for more steps? The next step is to watch and enjoy Drop your comments.